Adoption Profile - Adoption Story - Hopeful adoptive parents, Julie and George, wish to adopt a baby. We have been friends since our early 20's. To outsiders, it may seem like a marriage of opposites since our backgrounds are so different. Julie comes from a small Puerto Rican family growing up with 2 brothers, and when she wasn't living on the island, she returned every year. George grew up in a big, sprawling family of seven brothers and sisters (he is a triplet!) in West Virginia and had never traveled far from home until he was an adult. But really, it is what we have in common that binds us. Music and humor leads the list. In fact, we became friends through music. We started to go to concerts together. And then we discovered a similar (zany) sense of humor. That's one of the reasons our household rings with laughter. How do our friends describe our marriage? Strong, committed, and respectful. Supportive, open, and honest. Our relationship, or really our partnership, is also painted with curiosity and books and travel and silliness, and science and , like many lives, also moments of challenge and loss. (Each of us has had a close sibling die, Julie a parent & a close friend. We've known terminal illness first hand as caretakers). Rather than defeat us, these experiences have given our marriage an amazing resilience. We've learned that is just as important how you navigate the down times in life as it is how you celebrate it's joys. We have waked through our challenges hand-in-hand, emerging from every one of them solid and together. Our bond is the foundation of our lives. Among the many things we have in common is also the great value we put on family. And by family we don't mean the people related to us only by DNA, but also the people we pull close to us. (While Julie, technically, has a small family, her life was-and is-filled with "aunts & cousins" not related by DNA but who are as close as any family can be. For a long time, we knew we wanted to grow our family through adoption. We knew it would be the most natural and fulfilling path for us. Four years ago, after 20 years ad 13 years of marriage, we adopted Julian as a newborn. He has enriched our lives in indescribable ways. He joined our high-energy extended household and adores his "Granma" who lives in a separate suit in our home. Our bouncy, curious child is loved and supported by family and friends in abundance. We want to extend that love to a new sibling (or siblings) for our family. We have room in our hearts, space in our home and a great wish to grow our family. Our home is prepared for children from infancy to age 5. We know it takes strength and love to decide that adoption is the right thing for you and your child or children. When choosing a couple to help guide your child's life, we hope you will consider us. Our home is a happy hubbub. Julie, George, our son, and Grandma are its official residents but our household thrums with the energy and voices of many other people as we love to host and have friends and neighbors over. If you stopped by, you might see George behind the house playing basketball (on the neighborhood hoop we put up on our fence) with our son and the neighbor children or Julie and our son reciting ABC's in a cozy spot in the living room by the fireplace, or Grandma with our son baking a batch of cookies together, only his favorite of course. Our Pizza night, a tradition we launched in our house where the neighbors are close knit, the house overflows with conversation and children playing. Or maybe you'll walk in during a dance party, an almost nightly tradition (we have playlist and favorite records at the ready for our son, who loves to dance). Or you might find us out about town as we regularly attend our favorite museums and parks that we are fortunate to have in abundance near us (literally within blocks or short metro ride). Another day out might be a ride in our local trolley just for fun ending at our favorite dumplings and coffee shop and book store. If it were Sunday, you'd be met by a household of sleepy-eyed people in their pajamas. Sunday is family day, the one day a week we enjoy being lazy and carefree as a family. We sleep late, make pancakes together, and lounge together all day. Art, music, love, culture, family. Our home reflects our values and our instincts. Oh, and did we say hugs? Lots and lots of hugs. Another member of our family is our cat Zoe who's been with us since before we married. George dotes on our cat and we call him the cat whisperer. Our son loves our ever patient cat, and like to feed and nap with him. Every day we imagine what it will be like to fill our home with more children, to hear their voices ring along side our son, and our friends and loved ones. I am from Puerto Rico originally, I am deeply rooted in my culture in many ways, the friendly manner of the people, the food, the colorful and sunny island, and my fond child hood memories living near family and spending lots of time outdoors. I've now been in DC 1/2 my life, and look forward every year to our annual trip to the island. I love George and our son beyond description. It is impossible not to shower love and affection on our child, but he has also taught me other lessons about being a good parents. One of them is the importance of opening the door to unique experiences. I am interested in a wide range of things and I think that our son learns from that curiosity and it allows us to explore together unique life experiences. For example, while some of my favorite moments of the day are reading or play time with my son, it's also so fun to do yoga together (positions that turn into him crawling under tunnels or being able to show his flexibility off with lots of giggles), or taking a train ride to another city or town just for fun and exploring. We live a few blocks from the metro and train stations so we are lucky we can take day trips which he loves. Me too. My son also sees me enjoying my work and also my non-work activities, and that is shaping how he views the world. I am a professional photographer for over 10 years now. 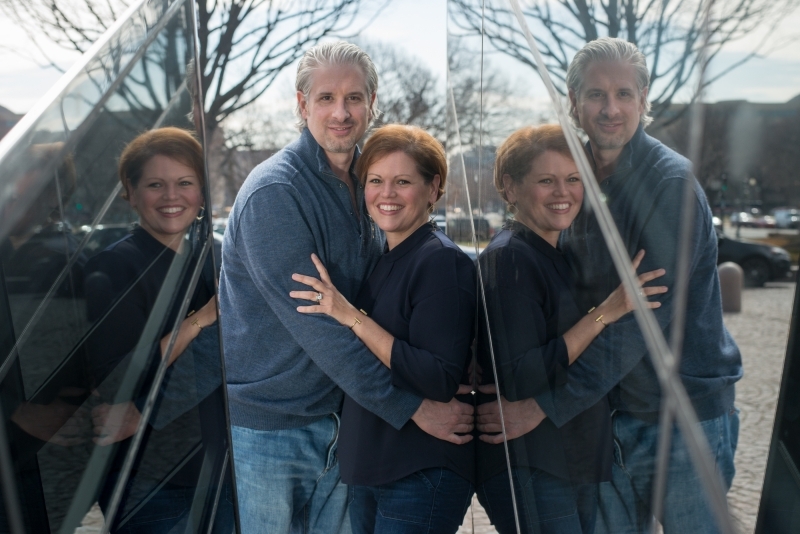 I was the staff photographer for a major University in DC, then went on my own to shoot weddings, then freelanced in the media and marketing industry, and most recently I shoot portraits and family sessions. I've dabbled in a variety of professional photography b/c I just love what I do. Exhausting and demanding as it can be at times, I've always loved it. My son uses his imagination to take pictures with a wooden camera, and it amazes me how he aims the camera, tells people how to pose, and describes the pictures he has just taken. I also have lots of hobbies and interests. For example I love gardening, especially shifting plants to grow bee friendly environments. I also make beaded jewelry, brew kombucha, and carve wooden spoons (although that last one has been put to rest for a while b/c it's so time consuming). I believe we make our communities and our lives stronger when we connect with one another. That's why I volunteer with senior citizens, and food banks. That's why I began Pizza Night for our neighbors. And that's also why I used to organize a "ladies Craft night", and a bi-annual High Tea for girls under age 12. I think it's hard to describe yourself so I sent 6 friends an email survey asking them to describe me and some of the descriptions they sent back are: compassionate, curious, strong and grounded. Another says I have "a bottomless pit of patience", and apparently I am very organized. My life is energized by the many amazing people and experiences in it, including my family and friends in Puerto Rico. I can not live without books. Our household is filled with them. (Our son is already a book lover.) I have been known to get up in the middle of the night to finish a chapter. I wake up early on Sunday mornings, ahead of the rest of the household, to give myself a quiet hour for reading. I simply just love books, I don't even always finish reading every book I start, but I enjoy all the creativity and knowledge they represent, and for me it always keeps my mind open to new perspectives and ideas. I'd be leaving out a big part of me if I didn't mention how much I love to travel. Far away or even near by, I thrive on seeing new places and people. I love to explore new foods, and museums, and parks, and anything I can soak in. Oh, and speaking of soak, I love summer best with it's abundance of farm stands, and beach time, and simply just being outside. My son has become a great traveler, he has his own backpack with his toys and books and tablet he carries through the airport or on the road and he loves to eat out, be out and about, and to met new people. I think it's been the best early learning for him. I am devoted to my son. I am deeply in love with him in a way that far exceeds what I imagined before having him........and I imagined loving him with all my heart. Every day I tell him I love him all the way to farthest galaxy and back, then he tells me he loves me all the way to the Big Park (that's the playground he likes to walk to that's farther from our house then the smaller park around the corner)....I know to him that's really far and it melts my heart every time he says it. Finally I messaged George one day and asked him what would you say about me in our bio: I value my beautiful Julie because of her amazing love and compassion for our son and our family. She is such a wonderful mother, daughter, and wife. She is creative and artistic and lives life dreaming of or future filled with travel and adventure. She is the strength and the soul of our family, my best friend, and the love of my life. My family. Music.Humor. Storytelling. Basketball. Those are the things that drive my day. I am a hard worker and ambitious in my sales career for a live broadcast equipment company. I travel with my company - in the United Sates and internationally - but it's always good to be back home with the joy of being with my family brings. My friends claim that I'm a good story teller who always makes them laugh. I think it's my sense or irony. Julie loves to hear me tell stories about growing up in a big family. We didn't have much when I was young, but we were close to one another and never felt we were lacking in means. Julie enjoys that after so many years together I can still surprise her with stories of our childhood adventures - I'm one of seven kids, I'm a triplet! With 2 of the sisters, and 17 months apart from another brother. I grew up in a small town then went off to study business. My early life had been a buttoned-up one - I hadn't seen much of the big world - but I was curious, so I moved to the city. That's where I met Julie. Music is important to me, and it became the first interest we shared. I used to go to small clubs to hear musicians. My tastes are all over the map. In fact, we recently found my old record collection and even I was surprised by how eclectic my tastes are. I also like being active, and I love play time with Julian. I'm a magnet for the neighborhood kids. If they see me outside, they're over in a flash to play any alley games we come up with, many times on the NBA official basketball net I set up on our property. It faces the alley so that all our neighbors can use it anytime. The neighbor kids and adults love and use it often. My interest in sports is balanced by my fascination with science. I try to show our son - and anyone else interested - how important it is to look around and appreciate everything in front of you. That's where my trusty binoculars come in. I take them on road trips to watch hawks soaring overhead and I love star gazing. Anything inspired by universe science. I'm hardworking but I've got an easy - going personality. In our household, Daddy is the funny, playful, silly parent. I grew up in a house full of children. Where Julie and I live with our son, we're used to having a house full of neighbor kids in and out. I would be happy and proud to welcome another child (or children) to our family. What Julie says about me: The things I cherish are his deep empathy toward others, his love and support for his family, and his sense of humor. He has always gone above and beyond to lend a helping hand not just to family, but also friends. He loves our son with no limits and gets so much joy out of play time. He works extremely hard - he's currently the top sales manager in the world at work - and his motivation comes from his wish to support his family now and as we grow. He is the kindest person at heart, and I feel lucky to share my life with him.